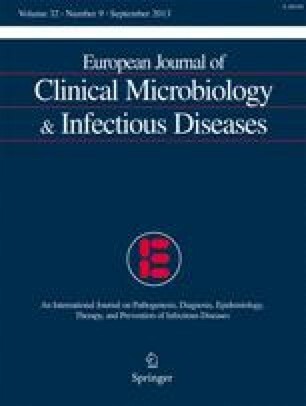 Between January 1997 and April 2002, 73 consecutive invasive strains of Streptococcus pneumoniae were isolated from children under 16 years of age in four hospitals in suburban Paris. Their genetic diversity was investigated by serotyping and analysis of pulsed-field gel electrophoresis restriction patterns. Antibiotic susceptibility patterns were analysed by disk susceptibility testing and determination of minimal inhibitory concentrations. The genetic basis of macrolide resistance was investigated by polymerase chain reaction. Studies of penicillin and vancomycin tolerance were performed for each strain. Despite the high prevalence (45.2%) of penicillin-nonsusceptible Streptococcus pneumoniae, resistance to amoxicillin (1.4%) was rare, and no strain was resistant to cefotaxime. Overall, 4.1% of pneumococcal strains were resistant to penicillin. Penicillin or vancomycin tolerance was not detected in any of the 73 strains studied. Of the erythromycin-resistant strains (48%), all but one carried the ermB gene. No strains showing a decreased susceptibility to ciprofloxacin (MIC, >4 mg/l) or overexpressing an efflux pump inhibited by reserpine were isolated. The serotypes found, in order of frequency, were as follows: 18C, 14, 6B, 19F, 19A, 9V, 23F, 1, 7F, 9A, 38. Strains of penicillin-nonsusceptible Streptococcus pneumoniae belonged predominantly to serotypes 14, 6B, 9V, 9A, 23F, 19F and 19A. The seven-valent conjugated vaccine covered 85.5% of the serogroups isolated in children under 2 years of age and 65.6% of the serogroups identified in children over 2 years of age. The genetic analysis showed a high identity for some serotypes, such as 14/9V, 6B and 23F. The use of the seven-valent conjugated vaccine is a critical measure to prevent invasive pneumococci infections in children in the Ille de France area.